S.C. Johnson “Happy Thanksgathering” Sweepstakes – Win a $500 gift card! 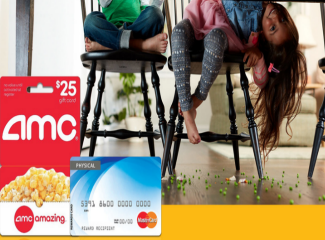 Win a $500 MasterCard gift card (5 winners)! ENTER SWEEPSTAKES HERE – S.C. Johnson Sweepstakes page. Note: You may skip the photo submission. ENTRY LIMIT – Each entrant will be eligible to receive a maximum of one (1) entry into the promotion. Limit (1) per household. ELIGIBILITY – Each Promotion is open only to registered members of the Services who are legal residents of the 50 United States or the District of Columbia, and at least 18 years old (or any higher age of majority applicable to the participant’s jurisdiction) at the time of entry. SWEEPSTAKES ENTRY PERIOD – Sweepstakes begins 10/30/2016 12:01 AM ET and ends 11/23/2016 11:59 PM ET.